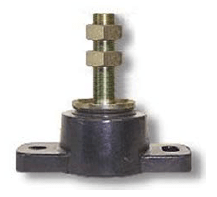 Flexible engine mount manufactured in metal and vulcanized neoprene. Flexible engine mount manufactured in metal and vulcanized neoprene. Bolt centers: 98 mm.